Home / ENGLISH / Drivers on cannabis will no longer instantly lose licence, Germany says..!! Drivers on cannabis will no longer instantly lose licence, Germany says..!! Motorists caught driving after consuming cannabis will no longer face having their driver’s licences immediately revoked in Germany. 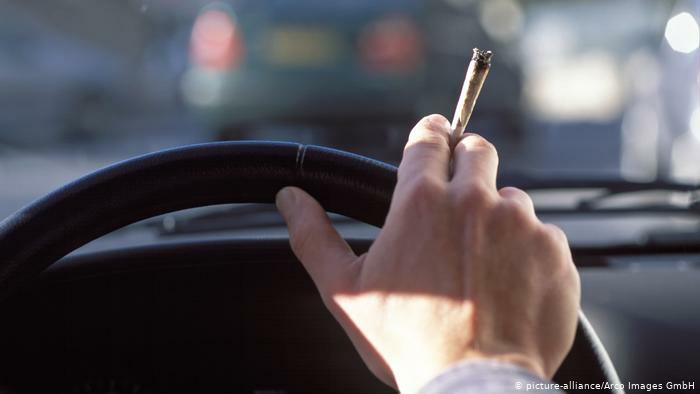 A federal court in Leipzig ruled that the licensing authority must now first determine whether the marijuana user was fit to drive with a medical evaluation, daily newspaper Deutsche Welle reported. German law stated that a driver’s licence could be revoked if they could not drive due to the consumption of alcohol or other drugs, and those caught with one nanogram per millimetre of THC in their bloodstream faced the instant loss of their licence. A group of experts proposed in 2015 to increase the limit to three nanograms per millimetre, because THC can remain in the bloodstream days after a person consumes cannabis. But on Tuesday the Leipzig Federal Administrative Court ruled the limit should stay the same. Last year, a police officers organisation in Germany called for the decriminalisation of the consumption of cannabis. Andre Schulz, head of the BDK organisation (the Association of German Criminal Officers) said the group favours a ”complete decriminalisation of cannabis consumers”. However, he insisted the drug should remain off-limits for drivers.